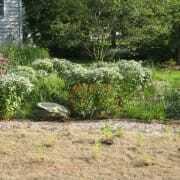 As a landscape designer for almost 30 years in Albany’s Capital District I have designed and installed projects that ranged from a few hundred dollars to hundreds of thousands of dollars. Meeting with clients about their landscape design project the topic of budget seldom comes up. I know myself the natural tendency is not to disclose a landscape project budget since we’re afraid the contractor will be sure to make his quote just under our top limit, no matter what! Landscape project budgeting must be discussed in order to achieve a realistic outcome. 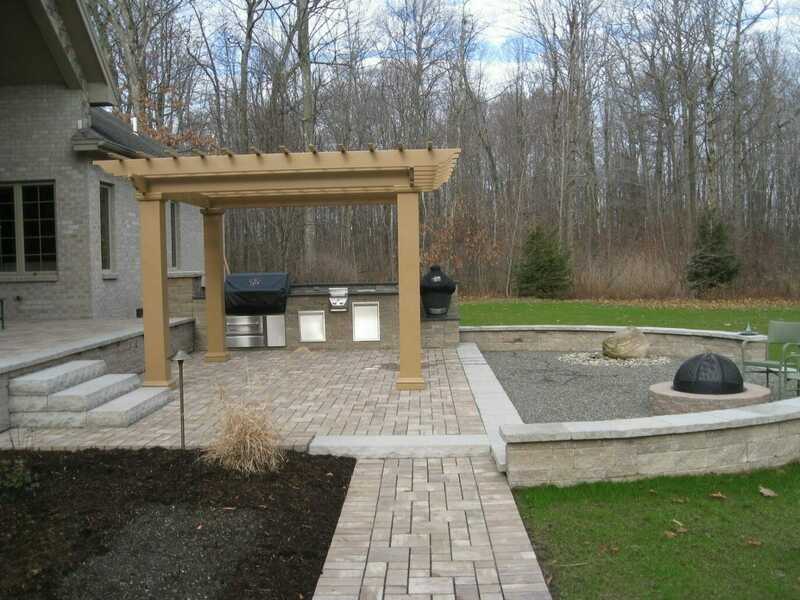 This does present a problem when designing larger landscape situations where there is extensive hardscaping elements such as walls, paver walks and patios, outdoor kitchens, fireplaces, etc. These items can add up quickly. 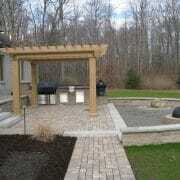 A ballpark square foot price in this area for a good quality patio concrete paver is $20 sq. ft. for materials and labor. So, a comfortable 20′ x 25 ‘ patio is going to be $10,000. That’s without a fire pit, fireplace, seat walls, or other element. I certainly don’t want to design something that the client will not be able to install; it is my job to help find alternate solutions so the client’s goals can be met over time. What we don’t want to do is to use cheaper, low quality materials or plants that will only lead to redoing the project down the road and add to our already critical landfill situations. Reducing paver areas to minimum in heavy traffic areas and use lower cost but high quality materials such as a pea gravel mat system for low traffic and overflow sitting areas. Phasing the project into segments, keeping in mind that we don’t want to affect finished areas when entering the next phase. Explore multiple concepts with your landscape designer before any construction is started. Your landscape designer is your advocate; they’ll help you develop a landscape project budget for your needs.